Notes: This is a detail of one of a pair of hand-quilted wedding ring quilts. It is hand stitched with edges done by machine and uses colors that were popular around WWII, including Nile Green, which was invented in 1927. It was most likely made for a full size bed. Wedding ring quilts were popular in the 1920s and became very popular in the 1930s. These type of quilts are not rare (they were made by the thousands). 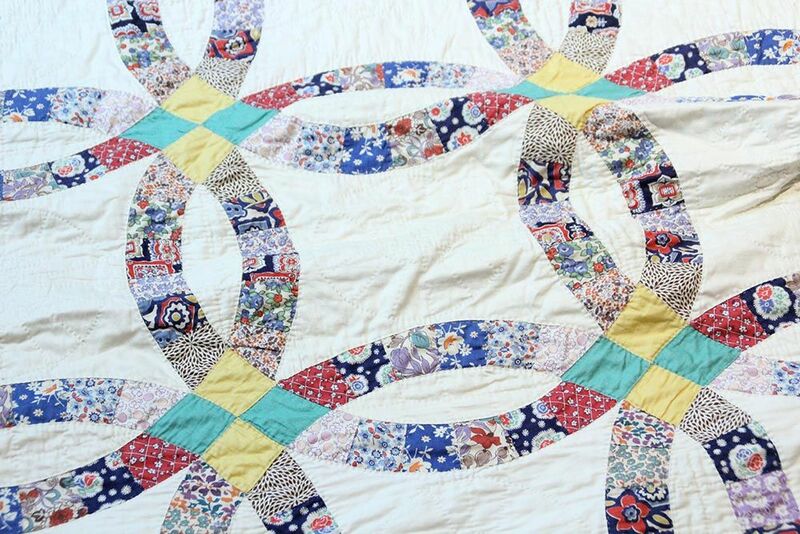 However, a pair of wedding ring quilts is unusual.